Our close friend Glen Byrne initially introduced Lacey and I to mountain biking. Our first rides took place in Thetford Forrest. The forrest was close to our home in the village of Isleham and we spent many weekends riding, smoking, and drinking coffee/tea there with Glen. Unfortunately, sometime after we left England, Glen lost interest in mountain biking and hung up his steed. The dry spell lasted for several years. 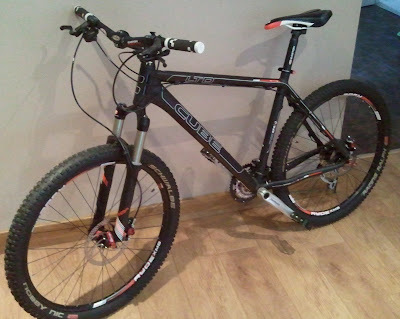 Today, Glen took his recently purchased new mountain bike back out to those trails and reconnected with the forrest. Welcome back my friend... there are so many pirates riding now... and we ride because of the seed you planted so many years ago.